-Beware of fakes. We only stock 100% genuine units. 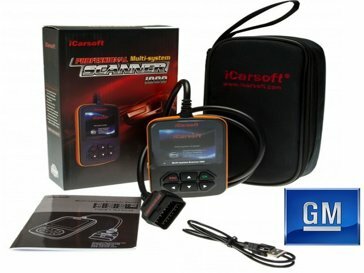 The iCarsoft i900 is a multi system diagnostic tools which has been designed to communicate with the main systems within your Chevrolet, Buick, GMX, Pontiac, Saturn & Cadillac vehicle such as SRS airbags, ABS Antilock Brakes, engine & tranmission modules. The iCarsoft i900 will also read LIVE DATA.